Despite this dissatisfaction, there has been little change in the last two decades, whether at the top leadership level or within the ranks of PA institutions. What remains a constant are the “old guards” maintaining a tight grip on power, rampant and systemic corruption, and the alienation of Palestinians from participation in decisions that impact their lives and future. The present reality of the PA in no way resembles the kind of Palestinian government promised since the heady years of the Oslo Accords. As Nathan Brown observed, "Palestine is, in short, a model liberal democracy. Its most significant flaw is that it does not exist.” This discrepancy between envisaged democratic leadership and reality can be explained by the neopatrimonial nature of the Palestinian political system. Neopatrimonialism is a hybrid model in which state structures, laws, and regulations are formally in place but overridden by informal politics and networks of patronage, kinship, and tribalism. Instead of being organized according to merit, public function, or administrative grades, a neopatrimonial regime finds its glue in bonds of loyalty to those at the top of the political hierarchy. In an institutional context in which Palestinians have no mechanisms to hold their leaders accountable, Palestinian neopatrimonialism has created a situation impervious to serious change in leadership or political system. Though the PA, after the onset of the Second Intifada, began to make attempts at reform, Palestinian political structures have remained corrupt and captured by one political faction, Fatah. The assets and resources of the Palestine Liberation Organization (PLO) and the PA have been channeled toward serving the interests of the few at the expense of the majority. The two main Palestinian political bodies, the PLO and the PA, in principle should be democratic and representative as set out in the Palestinian Basic Law and the PLO’s constitution. However, the PLO has not only failed in the mission it carries in its name, but has also failed to act as the “sole, legitimate representative of the Palestinian people.” The PLO’s weakness can be seen in the fact that its legislative arm, the Palestinian National Council (PNC), convened in May 2018 after 22 years of inaction. The absence, during which the Oslo “peace process” proved a total failure, demonstrates how the Palestinian leadership impeded the PLO from fulfilling its duty as a representative of Palestinians inside and outside the occupied territories. PA President Mahmoud Abbas enjoys almost absolute power as the highest executive authority – an arrangement inherited from former President Yasser Arafat, who is often credited for institutionalizing the neopatrimonial regime. During his presidency, Arafat maintained power via political cooptation and suppression. Among Abbas’s most recent legislative decrees is the Palestinian cybercrime law of 2017. The law, despite being amended following a public outcry, allows authorities to block websites and conduct surveillance on ordinary social media users. Palestinians can be arrested for expressing their opinions and political views online and charged with “cybercrimes,” punishable by up to 15 years in prison. The constant failure to reach a reconciliation agreement between Hamas and Fatah, despite announcing a national unity government in early 2017, also speaks volumes in regard to Fatah’s power monopoly and its marginalization of other Palestinian political actors and their constituencies. Power sharing is a prerequisite to the establishment of a solid national unity government, and requires fundamental changes to the current political setup. For instance, holders of senior positions in the PA have invariably been appointed. Position descriptions are not publicly posted, nor are there openly established criteria for determining job scales, salaries, promotions, benefits, and bonuses. According to the Coalition for Accountability and Integrity-AMAN, the salaries and bonuses of the heads of some non-ministerial institutions have been higher than the salary of the president of the PA, whose monthly income, as stipulated by law, stands at $10,000. The appointment of freed Palestinian prisoners in the cadres of the civil workforce as compensation for their contribution to the Palestinian liberation movement is another example of the informal nature of PA positions. Relatedly, in 2017 President Abbas forced 6,145 PA employees in Gaza into early retirement to pressure Hamas to cede control of the Strip. The number of PA employees in Gaza – both civil and security – is estimated to be around 50,000. Despite Hamas seizing control in Gaza, their salaries continue to be paid – albeit at a lower rate – to secure their loyalty to the PA. At the same time, Abbas uses government resources for political exclusion and punishment. A particularly abominable instance of this was the cutting of PA payments to Israel for electricity in Gaza, reducing the electricity supply to the Strip’s two million inhabitants to four hours a day. The dysfunction of the PLC and the PNC, two toothless legislative bodies, has resulted in the executive monopolizing and signing secret negotiations and agreements. The Oslo Accords are a prime example of how the PLO executive monopolized negotiations with Israel and took decisions in the name of the Palestinian people that proved disastrous. In a similar vein, the PA’s executive ignored on numerous occasions the PLC’s decisions mandating that the leadership must immediately stop negotiations with Israel in response to its continuous oppression of the Palestinian people and the expansion of illegal settlements in the West Bank. The PA's reliance on foreign aid has also undermined the Palestinian political system by making it accountable to international donors rather than the Palestinian people. The PA’s reform agenda and anti-corruption efforts have mostly stemmed from US and EU pressure since the outbreak of the Second Intifada, when the security situation on the ground deteriorated. The intent behind the agenda has been clear: Emphasize security over administrative reform and thus ensure the security of Israel at the expense of the security and basic civil and political freedoms of Palestinians. This has been reflected in the prioritization of security in the PA’s budget allocations, with that sector taking 28% of the annual budget at the expense of other, more vital sectors such as health, education, and agriculture. In his critique of the Oslo aid model – a model based on the neoliberal policy of investing in peace – Alaa Tartir argues that the donor-driven development agenda has worsened the economic and political circumstances for Palestinians. For example, agriculture – a lost, key pillar of the Palestinian economy – received only 1% of the PA’s annual budget between 2001 and 2005, while around 85% went to staff salaries. Consequently, the agricultural sector’s contribution to GDP shrunk from around 13.3% in 1994 to 5.9% in 2011. Palestinians have launched grassroots campaigns and union strikes, demanding better education and health services, including a massive teacher strike, a campaign against medicine shortages led by a coalition of Palestinian civil society organizations, a campaign against the electricity cuts in Gaza, and a campaign urging the PA to address medical negligence. The PA often leaves these public demands unanswered, and they are rarely reflected in its fiscal planning and public policies. As one member of the National Social Security movement, which leads the opposition to the controversial national social security law, said, “The government is not listening to our concerns.” The law, which obliges private sector employees to pay 7% of their monthly salary and employers to pay 9% of salaries in exchange for social security coverage, has caused a wave of anger among Palestinians, who have protested mainly against the high monthly deductions as well as the lack of a guarantee to safeguard their money in the context of political and economic instability. In February 2017, the PA adopted a new agenda, “National Policy Agenda: Citizen First 2017-2022,” that aims to prioritize the Palestinian citizen in the government’s policies, promoting accountability and transparency in managing public funds and affairs. This is a US- and EU-supported financial and administrative reform that began during the tenure of former Prime Minister Salam Fayyad; the agenda states that it is a second phase, following the previous one of building state institutions and enhancing their capacity. It proclaims that it is now time "to improve our citizens’ quality of life by providing high-quality public services, fostering job creation in the private sector, and protecting the vulnerable." 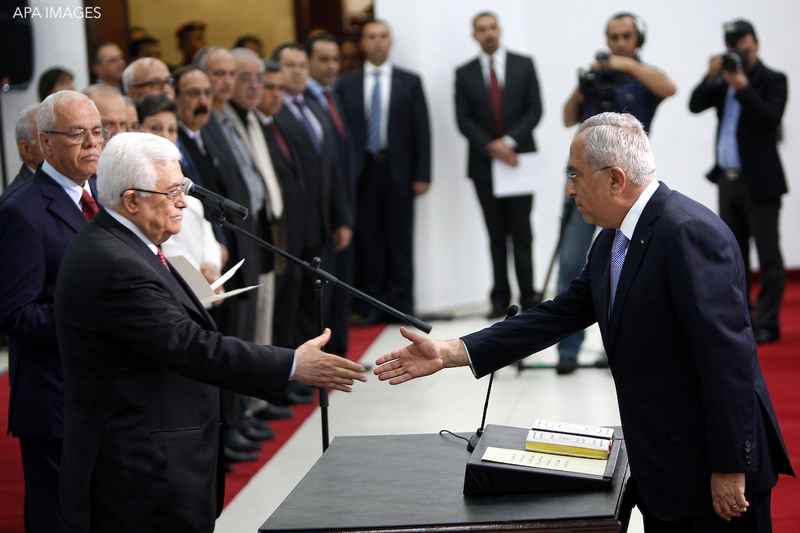 The PA’s new agenda does not acknowledge that Fayyad’s state-building phase failed to lead to statehood, let alone democracy. The international donor community hailed Fayyad as the Palestinian good governance messiah as his cabinet led efforts to create a de facto Palestinian state under the Israeli occupation in the context of a major political schism between the two largest Palestinian political factions. Fayyad's reforms did not go beyond technical and administrative parameters to ensure that whatever shakeup the cabinet made did not rock the entire boat. If Palestinians are serious about democratic, representative, and transparent leadership, they must end the farce of reform and build a representative and democratic system from the bottom up. Palestinians, especially the youth living in the occupied territories, in Israel, and in the diaspora, have a significant role to play in mobilizing and initiating national grassroots dialogues to debate and build a common vision for future democratic Palestinian leadership. This task requires a massive effort given the existing challenges. However, the continuation of the status quo offers only a bleak future. Decentralization of power, through empowering grassroots and local community leadership, is essential to break the existing power monopoly. The leadership and organization during the First Intifada, albeit belonging to a different political and social context, offers one example of what a collective leadership could look like. Second: Horizontal accountability – such as an independent parliament, independent audit organizations, and so forth – is important to investigate and stop the wrongdoings of public officials. While the current system has these institutions formally in place to some extent, the neopatrimonialism of the Palestinian political system renders these internal accountability mechanisms useless. This is why power sharing, decentralization, and public scrutiny are important first steps to ensure that no Palestinian authority can abuse its power. There are existing hotlines and legal centers available to Palestinians in the West Bank and Gaza to report corruption cases in a safe and confidential manner, such as the one operated by the Palestinian anti-corruption organization, AMAN. However, encouraging Palestinians to report corruption must be accompanied by the availability of solid anti-corruption laws and an independent judiciary that can hold the corrupt to account regardless of their political, financial, or social position. 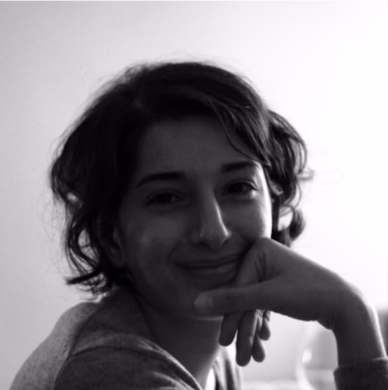 Marwa is a Palestinian writer, researcher and policy analyst based in Berlin. She is currently the MENA Regional Advisor for Transparency International Secretariat. Her work focuses on issues of governance, corruption, accountability and civil society space in the Arab world. Marwa was a Fulbright scholar to the US, and holds an MA in International Relations from Maxwell School of Citizenship and Public Affairs, Syracuse University. She holds a second MA in Development and Governance from University of Duisburg-Essen.